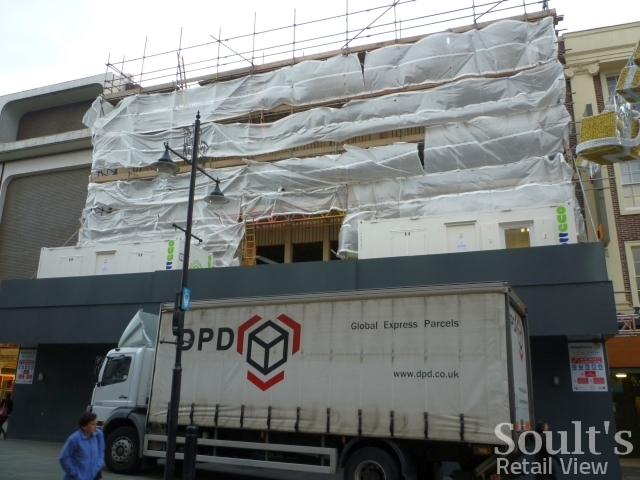 Work on the new BHS store in Newcastle has been underway for more than six months, though the lack of any mention of BHS on site meant that anyone passing by would have been none the wiser about what exactly was happening. 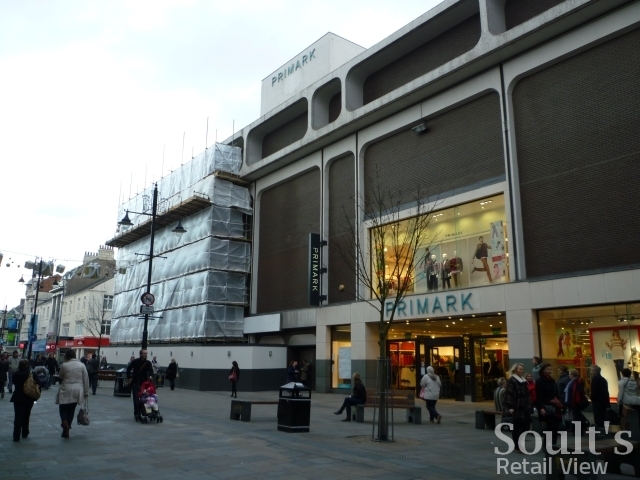 This always seemed to me like a wasted opportunity given the evident interest among local shoppers – after all, for the best part of a year, searches relating to Newcastle’s new BHS have been one of the biggest drivers of traffic to Soult’s Retail View. 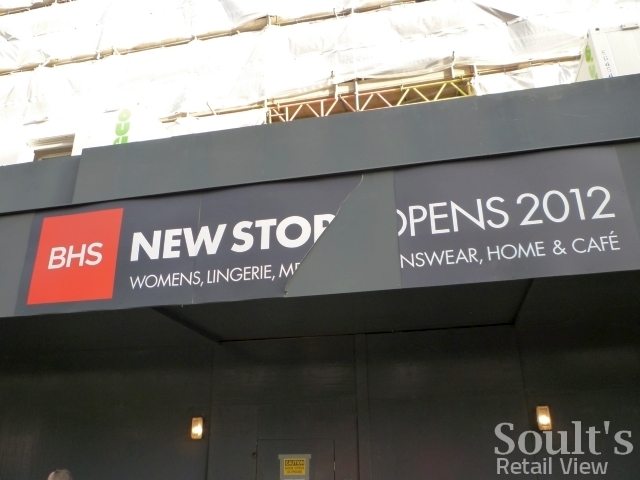 Now, however, signage announcing BHS’s forthcoming arrival in Northumberland Street has finally appeared, though the ‘opens 2012’ message leaves the exact timing rather vague. The banner is also looking rather worse for wear, given that it can only have been in place for a couple of weeks at most. 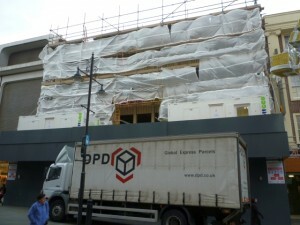 Though the building’s frontage was fully wrapped up when I went past today, the shot above – from a month ago – shows the windows of the ex-Next store already removed ahead of the property’s radical refronting. I’m told that the scaffolding is due to come down in March, which would suggest a store opening sometime in the spring. 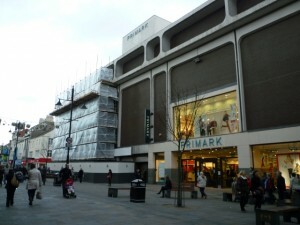 With work also progressing well on Primark’s nearby extension into the old BHS – and, I understand, at least one other major Northumberland Street unit being quietly marketed, pending relocation elsewhere in the city centre – 2012 already promises plenty of interest for Newcastle’s retail watchers. Next story What does 2012 hold for Newcastle city centre?